It’s Thursday, which means I’ve looked into the archives of my old blog to bring you something I think might interest you. This week, I’ve been playing around with my new novel, but the beginning isn’t right – I think I’ve started it in the wrong place, and I’m not sure how to fix it. Then I remembered a technique I’ve used in the past that might help. What you do is swap the hand you normally write with! This isn’t my invention – I read about it, but I can’t remember where. The theory behind it is that writing with the wrong hand makes you concentrate much harder on the actual mechanics of forming the words on the page, which leaves your subconscious mind free to be creative. Remember to write it with the wrong hand, and don’t analyse the content – that’s very important: don’t censor yourself! When I tried it myself, I managed to pull out a long forgotten incident involving my mum, which actually had nothing to do with my favourite toy. It’s a great way to stop writers block in its tracks. This technique helped me past a particularly difficult part of the story. 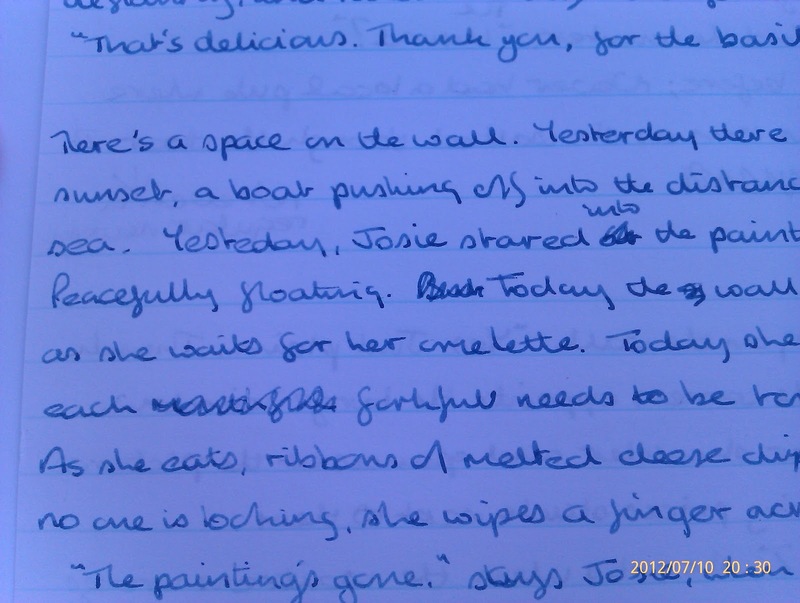 Don’t be fooled by how neat my writing looks – I remember having to concentrate very hard! Have you tried something like this before? Or even, just now? How did you get on? Good morning, lovely people! What a great day. The sun is shining, and it’s just above freezing. On our walk this morning, the grass was solid with thick frost, the river was mirror-still, and there was a beautiful river mist clinging to the valley and edge of Plymouth. As you can see, this isn’t really a to-do list, it’s an overcoming-my-issues list, which will be a lot harder. I’d love some feedback – especially on the Blogger/Wordpress issue, and the fixation on mothers I seem to have at the moment. Giveaway ends January 27, 2017. Today’s Throwback Thursday post come from June 2016, just a few months ago, on the day my latest book was published. Below are details of a Goodreads giveaway that will be running for the next 10 days, so I thought a quick introduction for people who don’t know about it would be a good idea. Happy birthday You. I. Us., you gorgeous thing! It feels like I’ve been anticipating this day for a long time – in fact, I signed the contract in April 2015! Writing these stories was a lot of fun, and completely different from the way I usually write. Because of the short length of each one, I curled up for a week – wrapped in a thick cardigan, because it was winter – and just wrote whatever came into my head. Several stories remain unchanged from those initial sessions, others merged together, a couple were thrown away for being rubbish. A few more – for example, Ode to River and Growing Apart – are autobiographical, which was an interesting experiment. 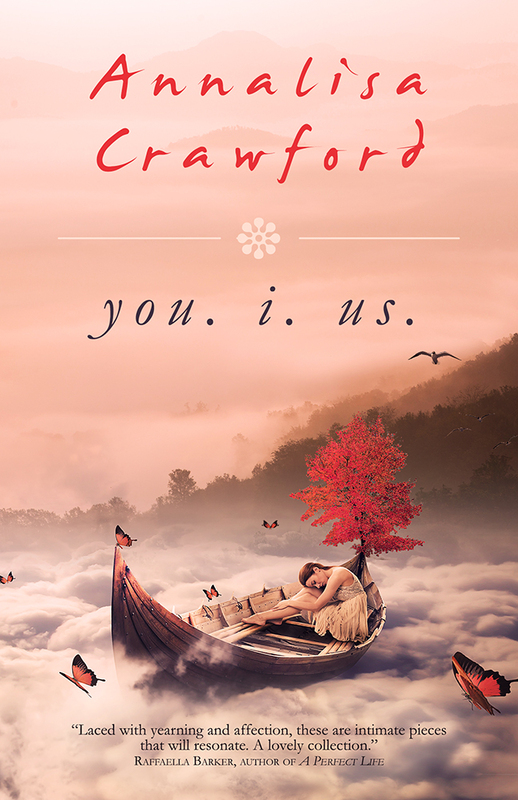 I want to say a huge thank you to Jessica Bell and Dawn Ius from Vine Leaves Press for all their hard work on this book, for the cover art (still so beautiful!) and for rapping my knuckles every time they saw a semi-colon. I have not completely overcome my semi-colon addiction, but I do consider their usage a little more. Thank you too, to Kyra Lennon, for reading the first draft of the stories and throwing out the weakest links. Next week, my blog tour starts. I’ll be answering a question a day, provided by some awesome bloggers. I hope you can join me! edge of a cliff where her husband died, a grieving son contacts the only person he can rely on in a moment of crisis, a group of middle-aged friends inspire each other to live remarkable lives. And here’s the giveaway. 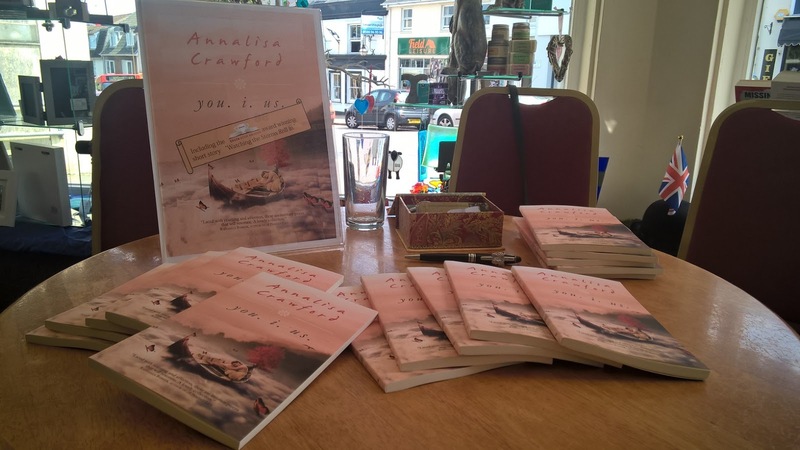 Please share – there are three books to give away, so the more the merrier. Before I start this post properly, I should offer a warning: I will probably include the phrase ‘in my day…’, but I’ll try to put it off for as long as possible. I’ve watched Sherlock since the very beginning. If you love it as much as I do, you can imagine the excitement that occurs when a new series is imminent. I tend not to pick it apart as much as many people do, especially on Twitter, but I do love to see what other people have said about it – afterwards, not during! One of the main comments after this week’s episode (S4, E2 – The Lying Detective) was the cliffhanger. Indeed, one tweeter went as far as saying it was the biggest cliffhanger she’d ever seen in her life. But it got me thinking about the bigger picture. People aren’t good at waiting anymore. In my day (see… I told you! ), by which I mean when I was a girl (is that any better? ), we had to wait until the following week or the following series, there was no option. Can you remember the whole ‘Who Shot JR?’ thing? We had to sit down, at the actual time the TV station decided to air the programme, and watch it – without pausing for toilet breaks, or popping to the kitchen for a snack. When Doctor Who returned, a lot of those episodes were two-parters – I remember at the end of the programme, my kids and I would turn to each other and oooh with glee and excitement. I loved that oooh moment – it gave us a shared moment where we could revel in all the things we didn’t know yet. I once heard that Russell T Davies asked his young daughter what she thought of his new Doctor Who creation and she told him she didn’t like waiting for the concluding part, so from that point on all the episodes became stand-alone stories. I don’t know how much of that is true, but it makes my point. WE HATE WAITING. But waiting is part of life, whether it’s for a bus, the next episode, the next book in a series, a reply from a publisher. By not waiting, by having box-sets on tap, we lose that sense of excitement and anticipation, we come to expect everything to be where we want it when we want it – which won’t always be the case. How do you feel about cliffhangers – TV or books, or in daily life? January! Argh! Can anyone think of a worse month? It’s dull, boring, dreary, and so dark in the mornings. It taunts me, it hates me. And somehow, those 31 days seem to blossom into 64! But, recently, I’ve been thinking about it more objectively. How many times have you wished you had more hours in a day, more days in a week or a month…? I actually have those extra days, this month. I have 64 of them. Re-writing a novella and stripping it back to the story I really want to tell. I should be able to do all that, now that I have an extra month, surely? When outside looks like this, I really should be inside with a hot chocolate and all the left-over Christmas goodies. What’s your favourite and worst thing about January? #ThrowbackThursday – Where’s the Fire? Happy New Year! I know I’ve posted more Throwback posts than any other recently, but with Christmas and New Year in the way, it just got too busy and confused. I promise that my next post will be a brand new one. In the meantime, here’s one from April 2013 – I recently reworked the WIP in question into a short story (it was originally meant to be a novel) and don’t recall this mishap at all! It’s a phrase that can be used to mean What’s the hurry? of course, but today I’m going to take it literally. Yesterday my WIP flew from my fingers onto the screen, running free and wild, as I watched my story taking shape… Until the moment one character noted that the fire had taken hold of part of the building and the firemen were retreating and regrouping. What was the problem? I hadn’t even hinted at a fire in the previous 2165 words, not a plume of smoke, not a smell, not a single person pointing out that the rescue of two trapped people might be hampered by the extensive heat. How had I missed something so vital? Erm, I don’t know. I was working from handwritten and typewritten versions, trying to merge them into something slightly different, and this fact kind of got missed off. In another part of the story that I’ve already written, a character mentions that even two days later the smell is still lingering, so you’d have thought I’d have remembered that at least! Except, I wrote that part of the story last week, so maybe not. When I was at school, I loved technical drawing. If anyone has ever done it, you’ll know you start of with a lot of pencil marks and the page looks like a complete mess of unintelligible lines. Then you flourish your 0.5 black liner and slowly, out of the jumble of pencil, comes a shape that makes sense – a 3D box or, more advanced, the floor plans of a house. 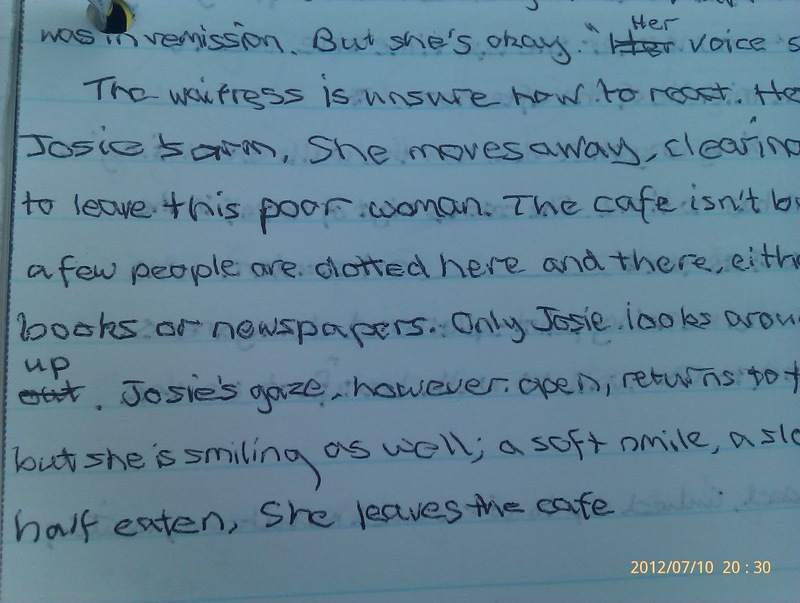 That’s what my writing is like, a jumbled mess until ta da!! So, yes, today I will be squeezing a fire into my chapter, and shattering the zen-like calmness my characters have chosen to adopt! What mistakes have you made when you’ve been writing? Have you ever made glaring omissions? Author Annalisa CrawfordPosted on 5 January, 2017 3 January, 2017 Categories Throwback ThursdayTags Revising, writing style10 Comments on #ThrowbackThursday – Where’s the Fire?